At Benchmark we pride ourselves on creating exceptional spaces for health practices and commercial spaces from concept right through to completion. Our team is committed to doing everything possible to make certain we deliver on what we promise. If you’re looking for a reliable and experienced team for your office or practice design and fitout, wherever you are located, then Benchmark can provide everything you need in 3 easy steps. The team at Benchmark starts every project by taking the time to gain a clear understanding of your design and fitout needs. We will walk you through everything you need to achieve success including what can realistically be achieved with your budget and preliminary timeframe to complete the work. 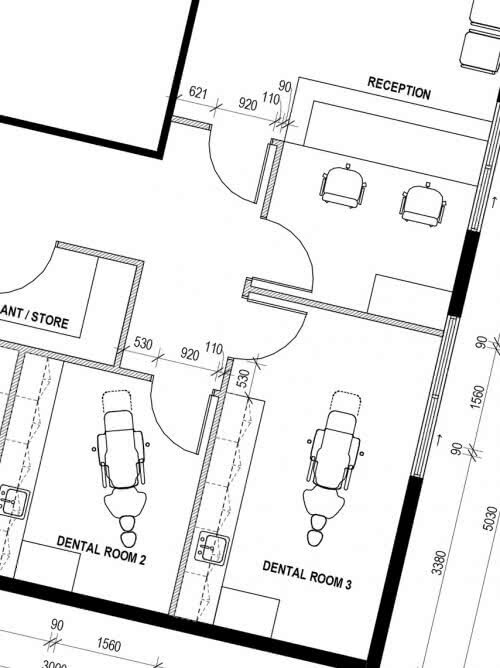 We also conduct a site review to assess your location, taking into consideration council requirements and access. The next stage is to work closely with you to bring your vision for your office space to life. Our designers will create detailed plans and images together with colour swatches and finish recommendations. You can rest assured that budget will be considered every step of the way so that you have a complete itemised proposal for your build. Once your design and budget have been agreed, then it’s time to build. Your dedicated Benchmark Project Manager will ensure regular communication via phone, email and formal meetings throughout your build to make sure you’re informed of progress every step of the way. Contact your specialist team at Benchmark today for an obligation FREE consultation or to learn more about how you can save money on your medical, dental or office fitout.